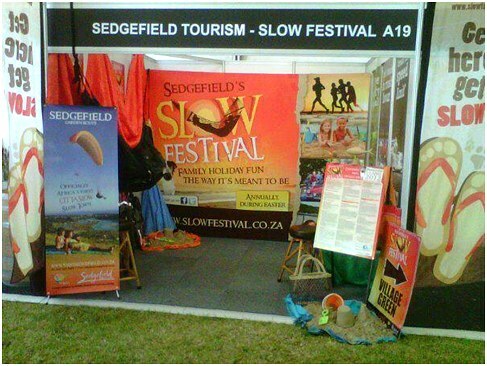 Since 2010 the Sedgefield Slow Festival has delighted both residents and visitors to this Garden Route town, known for its quiet contemplative character and unique bird-life and tortoises, and almost certainly the inspiration for “Slow”. Rather than kicking back and relaxing, the Slow Festival offers Sedgefield businesses a unique opportunity to promote their own commercial interests, and for residents and visitors an opportunity to participate in several exiting events organized specifically for the Easter festival period. During the event festival coordinators invite Sedgefield business owners to ‘Paint the Town Orange’, encouraging business in Sedgefield to display, wear or paint something orange in a show of solidarity. The Slow Festival is about being pro-active in promoting the true potential of people, business and the environment in Sedgefield. 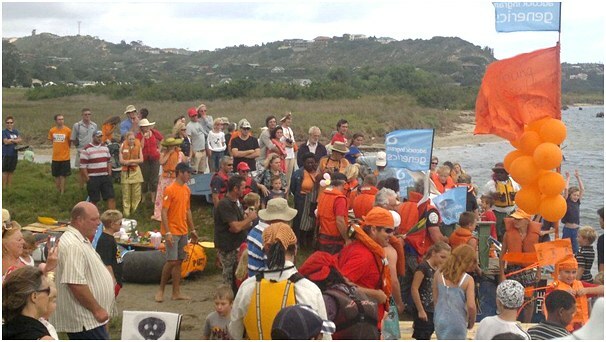 Under the banner of ‘making haste slowly’ Sedgefield residents, led by local visionary festival coordinator Amanda Dixon (Tumbleweeds Events), have embraced the “ORANGE mode” in support of the annual Sedgefield Slow Festival.